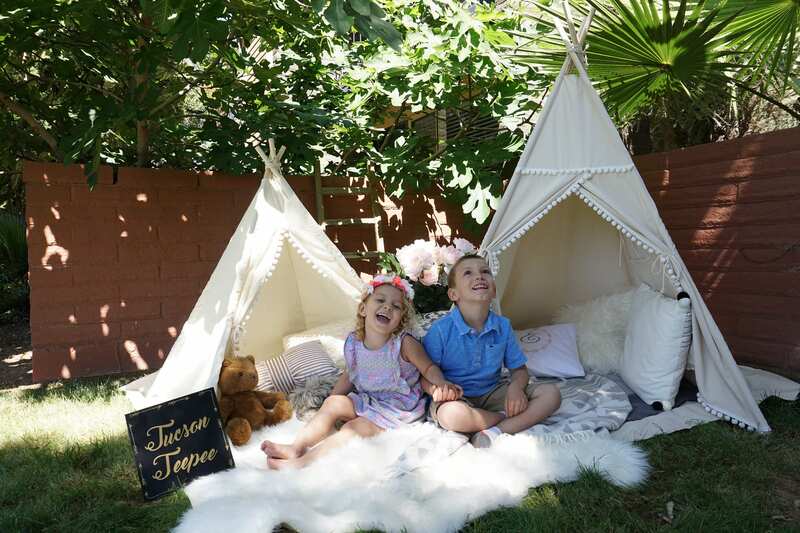 The perfect matching mat for the teepee is here. Can you give me a reason why I need to buy mat from TucsonTeepee instead of other places? Because it is WAY BETTER! 1) The mat is designed to be better. It comes with canvas mat cover, mat insert, and loops and ties to secure it in place for you. 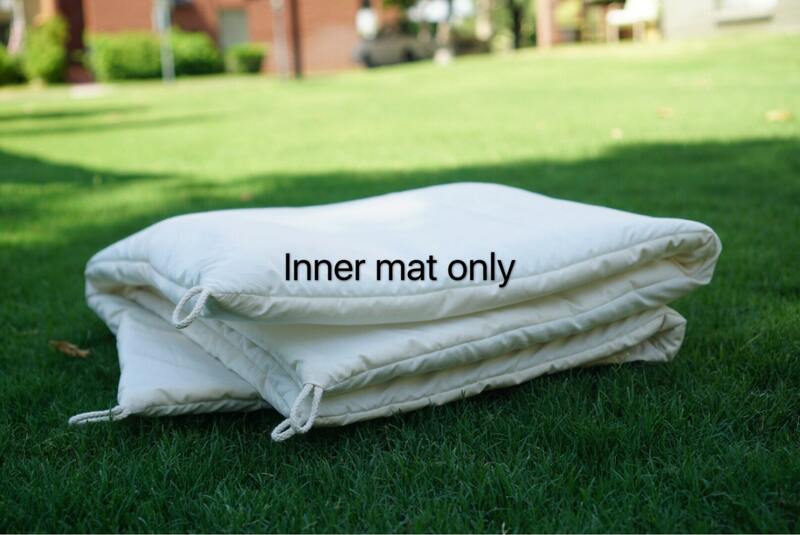 The cover is deep envelope style (the same as a pillow cover).It will make the mat more durable, and much easier to wash. Just the same benefits what the pillowcase cover brings you. Rope loops are added at the corners of the mat insert and mat cover. 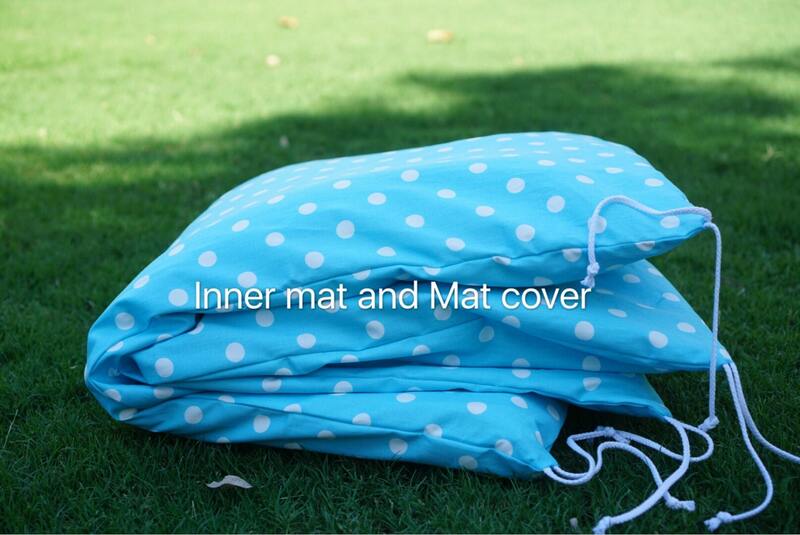 The mat insert comes with TWO layers of batting, way thicker and more comfortable! 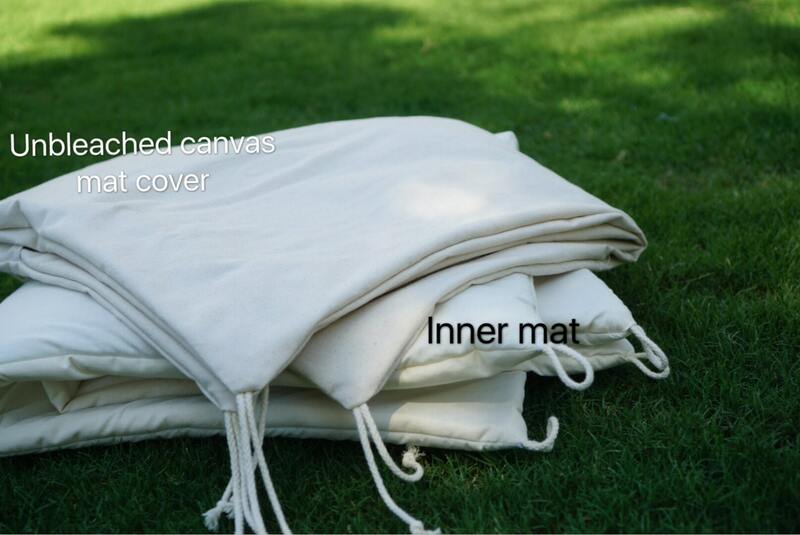 The detachable mat cover is made with 10 oz canvas . 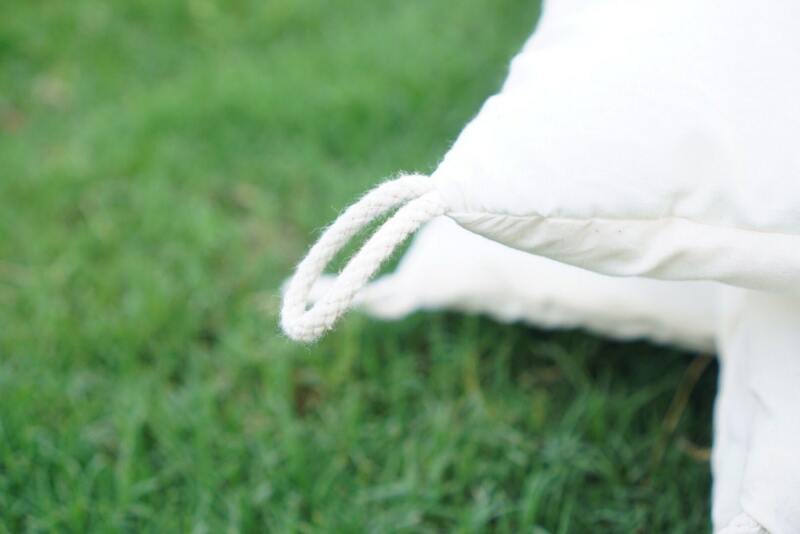 FYI: I will use matching unbleached canvas or white canvas for the cover as default as most of my tents come with unbleached base or white base. How should I choose from canvas mat and faux fur rug? It is really up to you. Faux fur rug is soft enough if you have carpet floor.